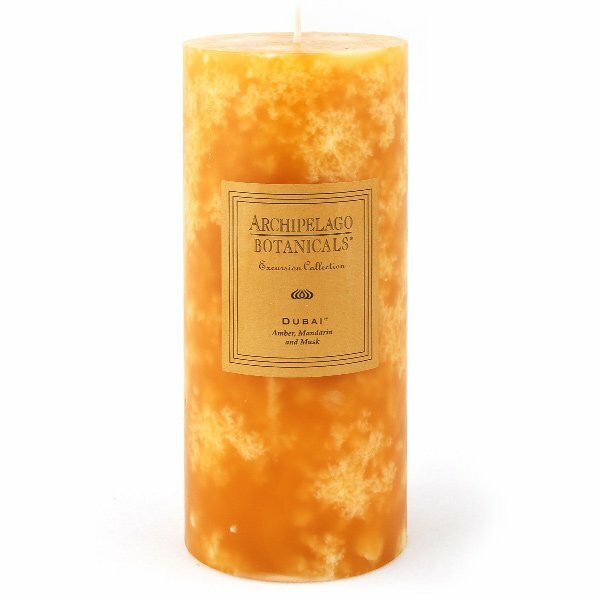 Archipelago Dubai 2.75x6.5 Pillar Candle emulates the exotic scent of the Middle East, blending amber, mandarin and musk. Inspired by favorite destinations from around the globe - Archipelago Excursion Collection boasts full, complex fragrances and bold color, guaranteed to transport you to new worlds. Archipalago Pillar Candles are made using only the finest ingredients and fragrance oils available.